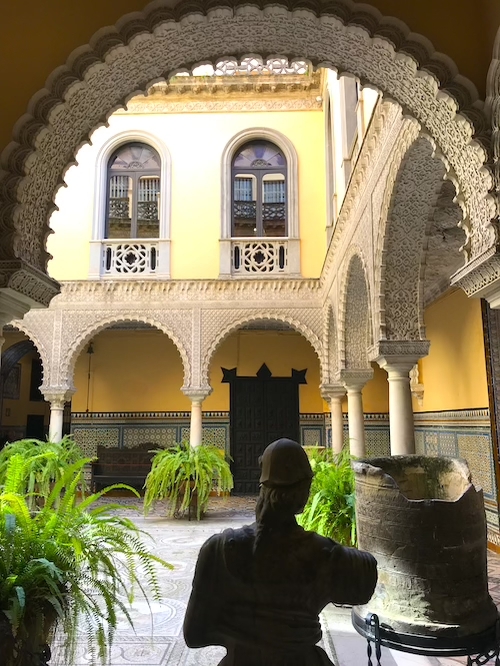 Right in the heart of Seville stands a palace out of 1001 Nights. The Alcazar served for centuries as a royal residence and was recognized in 1987 as a World Heritage Site. Also through the series “Game of Thrones”, the palace gained fame. It was used for the Water Gardens in the fictional city of Sunspear, seat of the House Martell and capital of Dorne. The highlights of the palace are undoubtedly its magnificent gardens. Other highlights in the Alcazar are the Patio de las Doncellas, the Palacio Gótico and the Galeria del Grutesco. In order to avoid queuing, you can buy the ticket online in advance. The Cathedral of Santa Maria de la Sede is the largest Gothic and the third largest church in the world. Its art treasures, its pomp and the mix of Muslim, Baroque and Classicist elements are simply unique. 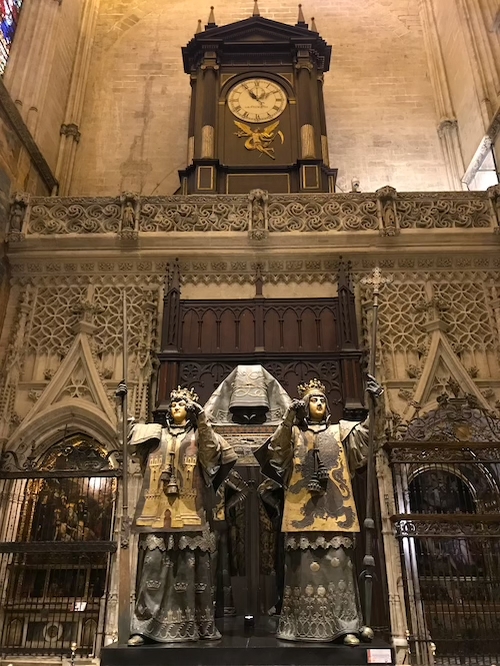 The most popular photo motif is unmistakably the coffin of Christopher Columbus, which is supported by four statues. 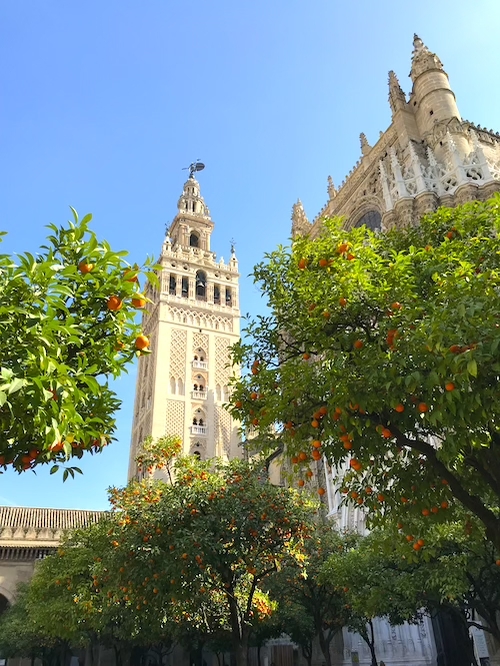 To enjoy a great view of Seville, you must go to the very top of the Giralda, the tower of the cathedral. The Plaza de Espana was built in 1929 as part of the Ibero-American-Exhibition. The bridges, painted tiles, towering towers and impressive red brick buildings make the place so unique. 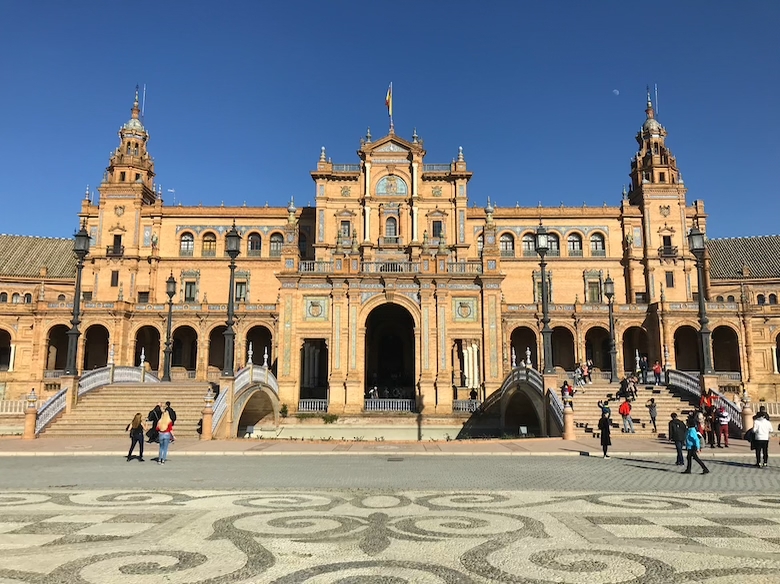 The semi-elliptical shape of the Plaza de Espana symbolizes the embrace of Spain and its former colonies and looks towards the Guadalquivir river as a path to follow towards America. Especially in the evening the Plaza exudes a romantic flair. 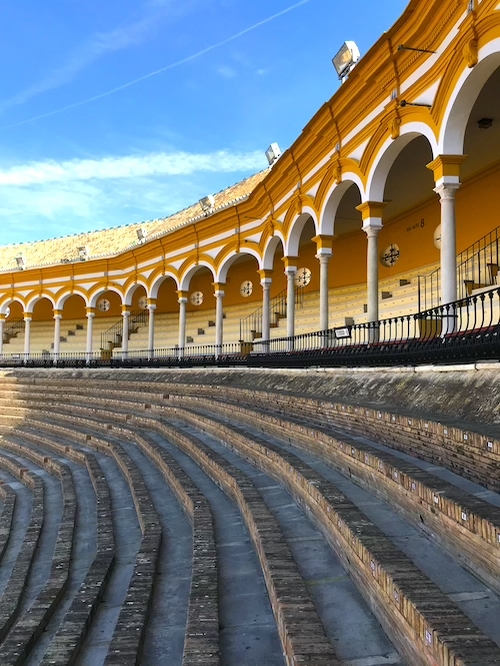 With its white-red-yellow coloring, the Plaza de Toros de la Real Maestranza is one of the oldest and most beautiful bullfighting arenas in Spain. The arena has room for 13,000 spectators and has already welcomed the most famous toreros. 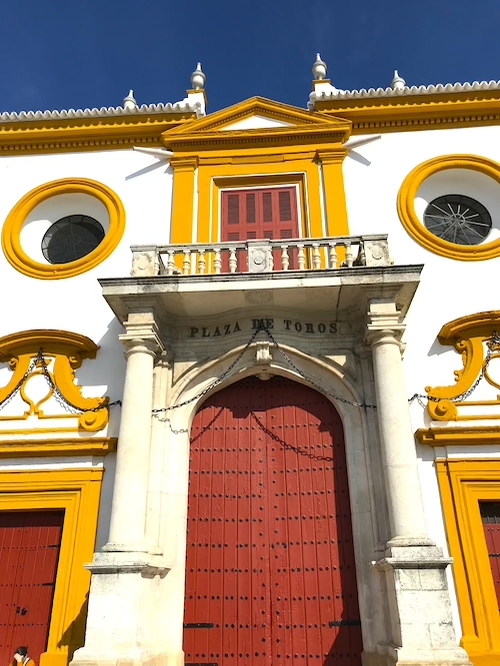 You can visit the very interesting bullfighting museum, where you will learn about the history and evolution of bullfighting, as part of a guided tour. Plus, for a few minutes, you’ll have the opportunity to see the formidable bullring from the grandstand. 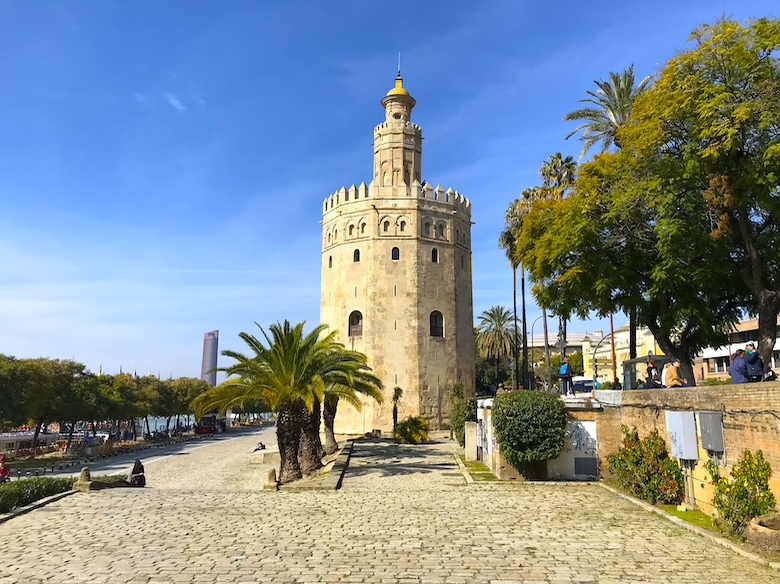 On the banks of the Guadalquivir stands the watchtower Torre del Oro which was once part of the fortified city wall. It is 36 meters high and now houses a small maritime museum, which is equipped with a terrace and a panoramic view. 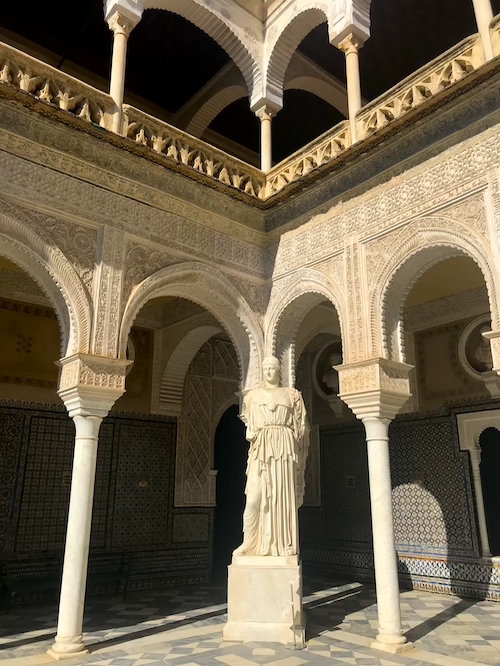 The Casa de Pilatos is a city palace built in the 16th century in a mix of Italian Renaissance and Spanish Mudejar style. The highlights of the palace are its beautiful courtyard, its wonderful living rooms and its gardens with exotic plants and palm trees. 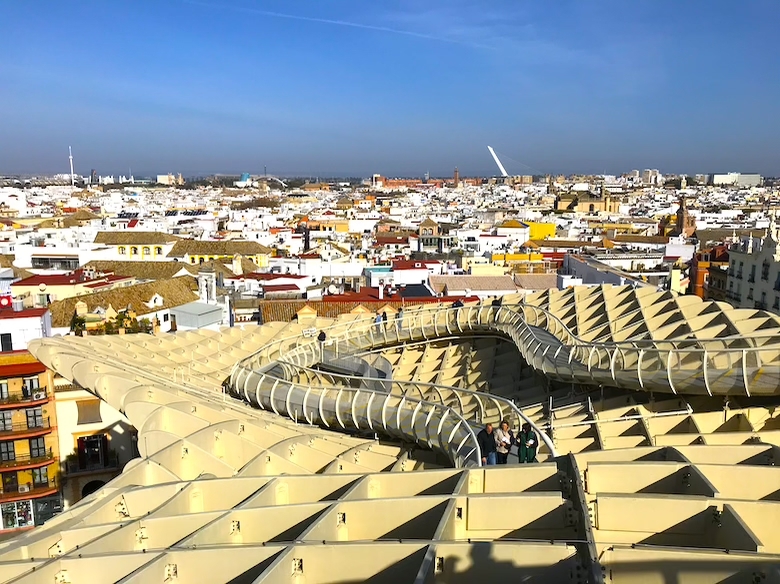 With a diameter of 150 meters, the modern wooden structure Metropol Parasol is the new landmark of Seville. From 2005 to 2011, the futuristic building was erected on the Plaza de la Encarnacion. With an elevator you reach the breathtaking viewing platform. There you can follow a magnificent loop-shaped panoramic path and enjoy a 360-degree view over the city. 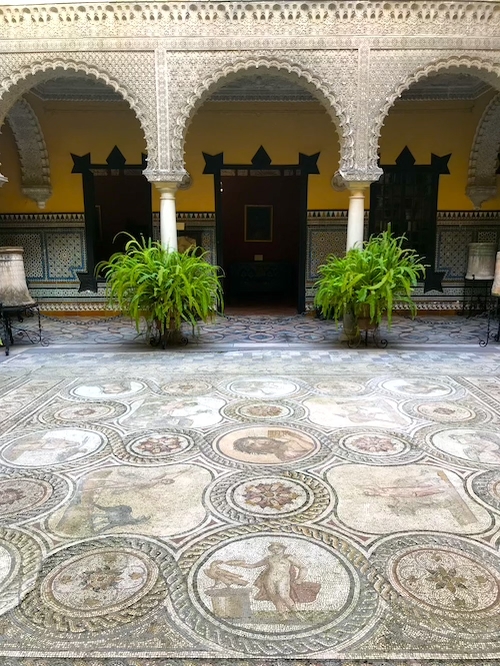 The Palacio de la Condesa de Lebrija is a 16th-century city palace known for its impressive collection of Roman mosaics. 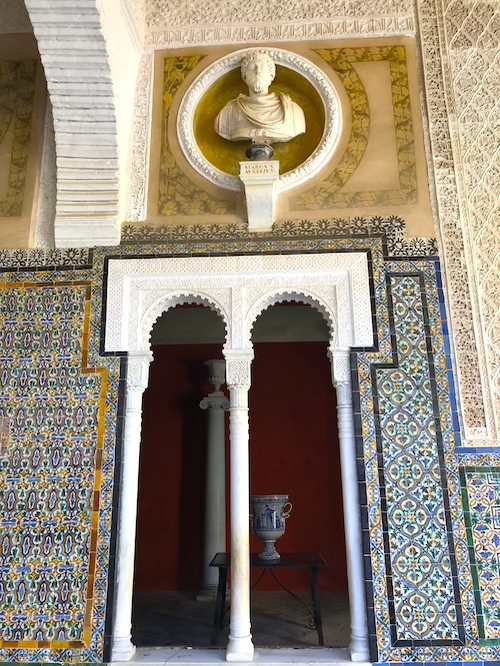 Other highlights include the patio, decorated with elegant arches and columns, and the staircase covered with beautiful tiles. 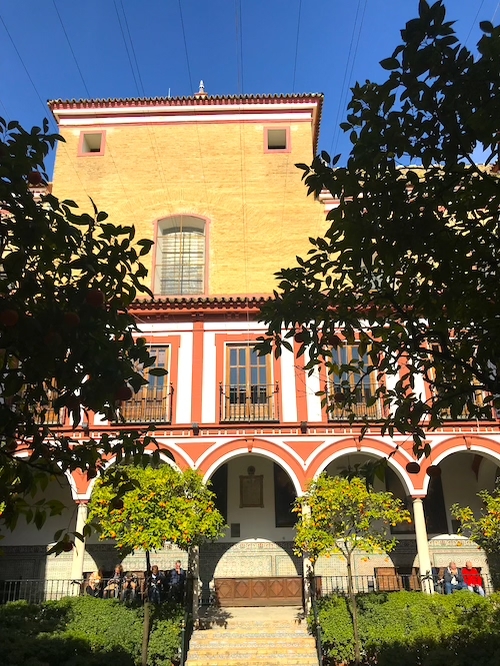 The Hospital de los Venerables Sacerdtes is located in the tourist district of Santa Cruz and is known for its significant collection of some of Velazquez’s most famous works. 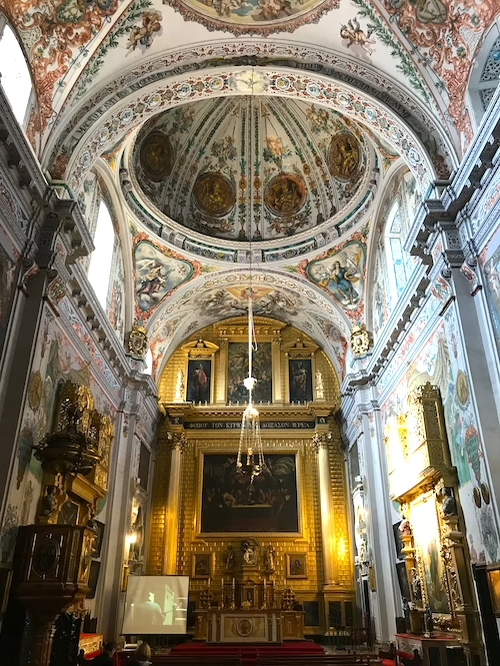 There is also an idyllic courtyard and a pretty little church with a large, golden altar. 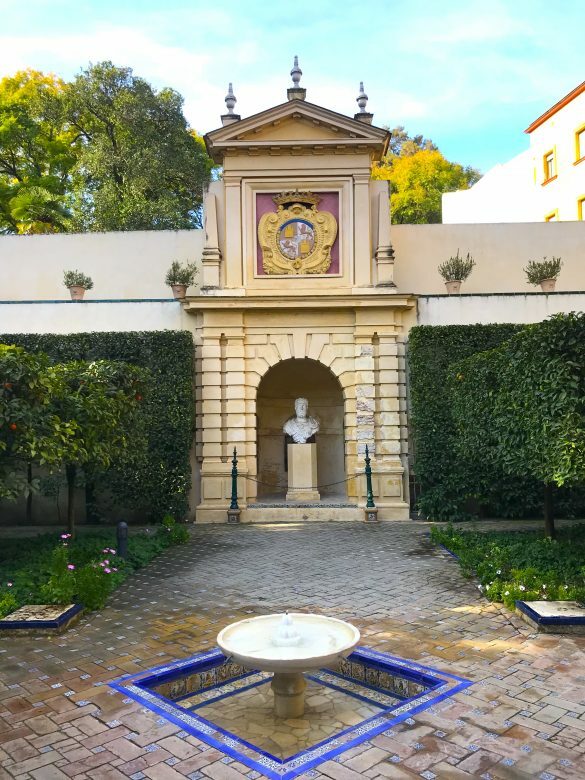 Right next to the Plaza de Espana you can visit the most famous park of Seville. 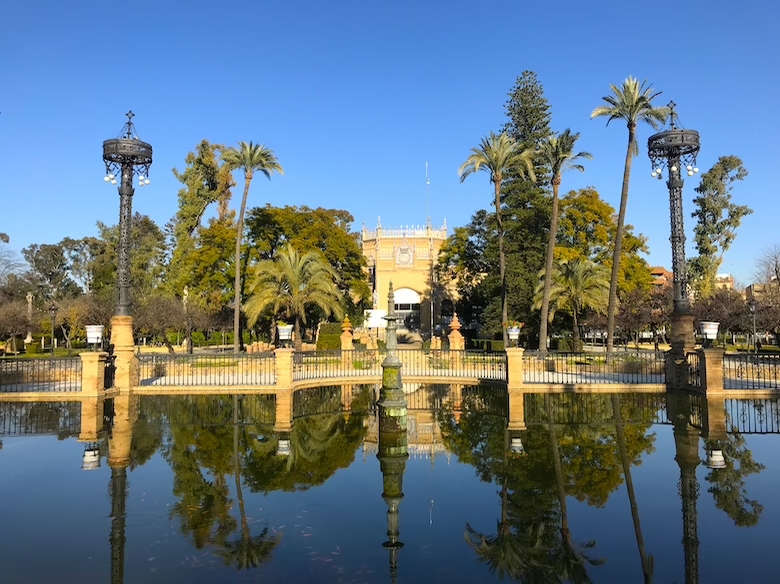 The Maria Luisa Park is just a great place to go for a walk and escape the hustle and bustle of the city. 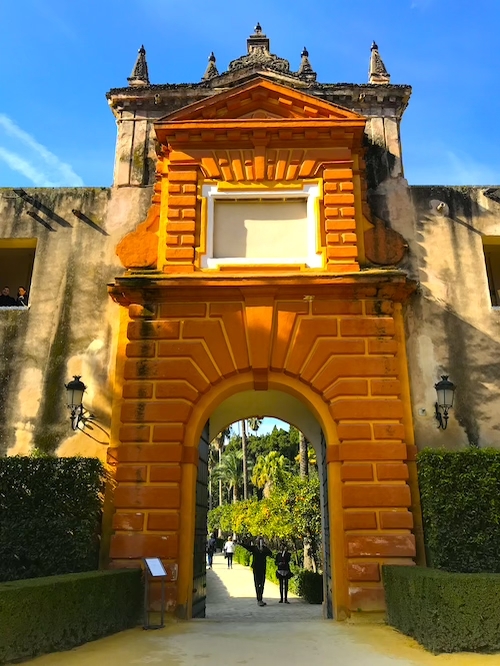 Exotic plants and wonderfully scented orange trees alternate with historic buildings and magnificent fountains and pavilions.